Laura specializes in legal contracts and business formation for startups and small businesses. She utilizes her experience co-founding a tech startup to help entrepreneurs navigate the legal waters of starting a business. She also assists individuals and businesses with a range of immigration matters to achieve the American Dream. From securing work visas for employees to helping loved ones immigrate, Laura provides strategic guidance and legal support to achieve the end goal. Laura is a graduate of Georgetown University Law Center in Washington, D.C. She is licensed in California and Texas. 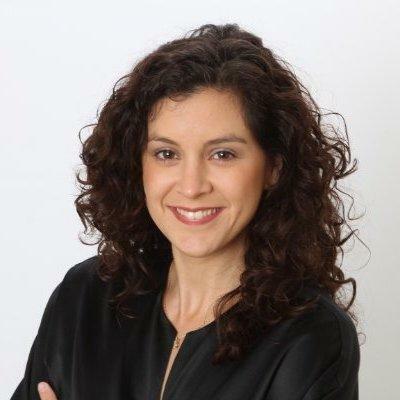 "I would highly recommend Laura Pena whether you are starting a new business or have already begun and are looking for extra professional support. I started working with Laura when I switched careers to pursue my passion working with dogs and therefore becoming a small business owner. Laura was with me every step of the way detailing exactly what processes were needed in order to get my business going from the ground up. She gave excellent informative on key topics like the different ways to incorporate along with what would work best for my individual endeavor, what laws I needed to be aware of, the requirements by the city and state specific to my business, and timelines to follow. Laura took the stress and guesswork out of starting a business and made it an enjoyable process the whole way through. As my business developed the needs would change and she was always on top of the demands, whether it be creating dynamic and detailed Liability Contracts or utilizing the latest technology to streamline my business. Not only did she help with the details of getting the business started, but she is a wealth of knowledge on every aspect of Marketing strategies! Thanks to her expert advice and direction, my business has eye catching and engaging Social Media pages, a professional website, pricing and services that match my communities needs, and modern systems that make it very convenient for my customers to interface with me. What is unique about Laura is she is invested in you and your business success which you feel in every conversation, business meeting, and accomplishment of the goals you’ve set together. When you work with Laura, your not only getting the best talent and skill to help you set up your new business, your also getting an individual who is just as excited to see your business succeed as you are. If you want your business to be the best, you want Laura Pena!" Exclusively advise compare clients on business immigration. Manage all immigration related matters for foreign national employees. Laura served as a trial associate for a boutique employment law firm located in Texas. She represented clients, both employers and employees, in a range of disputes - contracts, compensation, termination, discrimination, and others. Cofounder and CEO of sports tech startup. Managed several offshore employees to build web-based app; raised $100,000 in seed funding; won several pitch competitions; managed all company and employee legal matters. Served as an immigration trial attorney for the federal government. Laura served as a law clerk to a federal judge in the U.S. Southern District of California.